Viber, the popular cross-platform messaging and VOIP calling application, is rolling out their Viber Out service worldwide. The service uses credit purchased through in-app purchases, or via credit card for desktop users. Purchased minutes can be used on Android, iOS or the desktop client. In addition, Viber is also adding more stickers to their paid Viber Sticker Market, and will continue to add more content. The most interesting part — the rates — are detailed after the break along with the full press release. As you can see, the biggest draw for many will be the rate plans. Offering a substantial savings over Skype for users in various countries, Viber aims to deliver HD audio at rates that are highly competitive. In fact, based on what we see above the rates are actually disruptive and just may cause other providers of Internet calling to re-evaluate their own rates. Viber has more than 200 million users in 193 countries, with Android, iOS, Windows, BlackBerry, Bada, Mac, Linux, Symbian and Nokia S40 fully supported. To download the Viber app, you can use the Google Play link above. LONDON – December 10th, 2013, Viber announced today the release of Viber 4.1 for Android and iPhone which includes the full global launch of Viber Out, a new feature that allows users to make low-cost calls to any mobile or landline phone number. Viber had previously enabled Viber Out for users in the Philippines in the aftermath of Typhoon Haiyan to help users contact friends and loved ones. To provide free calls from the Philippines, Viber partnered with telcos across the world including Telecom Austria, Telecom New Zealand, Hutchison, Bharti Airtel, Telecom Italia, Citic, Netvision Cellcom, Mada Communication and Omantel. Viber also partnered with Globe Telecom to allow users worldwide to call the Philippines for free. Now with the official worldwide launch, Viber Out enables all Viber users to call anyone worldwide at low rates on Android, iPhone and Desktop, coming to Windows Phone in the future. 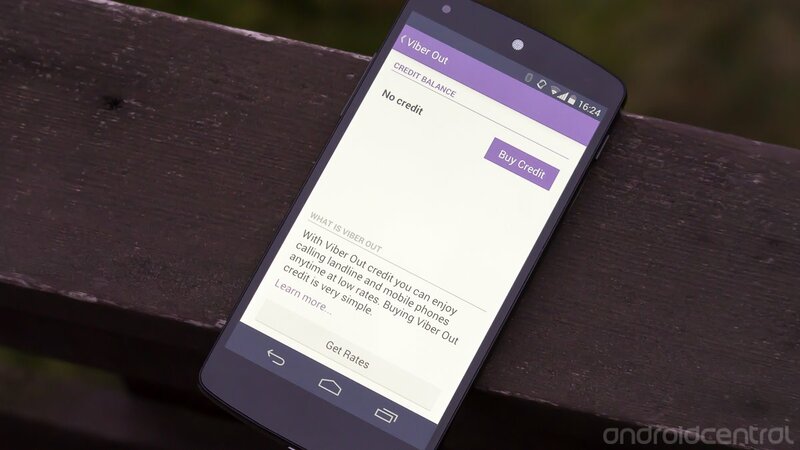 Viber Out credit can be bought with an in-app purchase from the Google Play Store or the Apple App Store, or with a credit card via Viber Desktop. 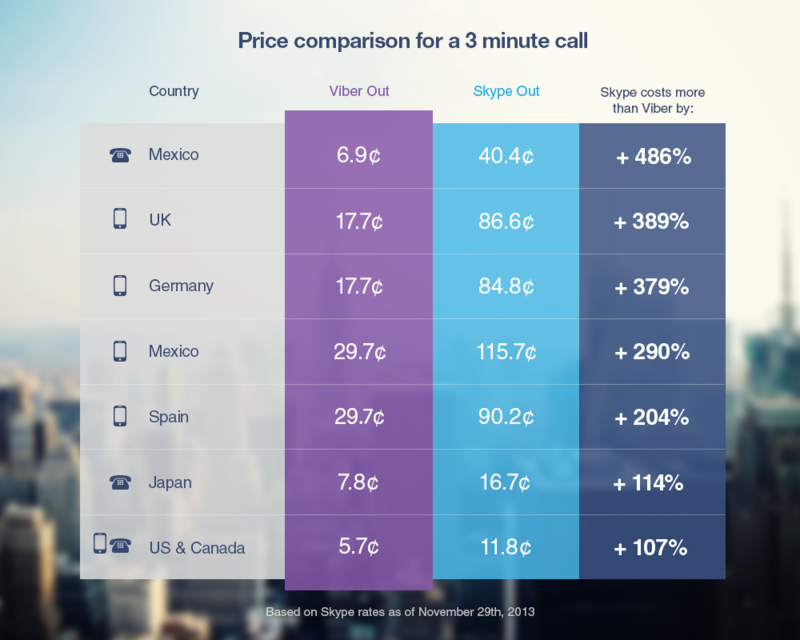 Additionally, Viber Out has a significantly lower price-per-call than other competing services due to lower per minute rates and the omission of connection fees. Unlike competing services, Viber Out displays your real phone number to the recipient so he or she knows who is calling. Further, Viber Out on Desktop has your phone’s address book so you don’t have to remember numbers or dial them manually. Viber Out joins the Viber Sticker Market as the app’s second paid feature. As part of this release, Viber added new stickers and will continue to add more content. Viber also released a new promotional video highlighting one of its signature characters – Violet.